Our managed web hosting solutions include everything needed to quickly setup and maintain a secure web presence for you or your business. We’re here to grow with you. Our scalable platform lets us meet your hosting needs perfectly, no matter how large or small. Moving to the cloud? Looking to better utilize your existing technology and cloud infrastructure ? Let us put our expertise to work for you. Secure, reliable, and managed hosting solutions designed for your unique needs. Design, planning, monitoring and support, trust the experts with your technology investment. We provide a secure environment for your website’s operation. Every business with an online presence should be making the switch to HTTPS in the near future. HTTPS is the protocol used for secure communication over a computer network. That means it provides critical security for both websites and the end user’s browsing habits and personal information. When you use just HTTP, your computer’s browser transmits data between itself and the server in clear text, easily readable by anyone in between with a minimal amount of effort and the right knowledge. It’s like shouting personal information to a friend across a crowded coffee shop. Everyone there can hear you if they’re listening and intercept that data, at will. When using HTTPS, your computer encrypts the data transmitted between it and the server. So when you talk with that friend across the coffee shop, you’re now speaking in a language only the two of you understand. It’s far more secure than HTTP, and rapidly becoming standard to use this level of security. Anyone transmitting sensitive data over the internet, such as hospitals, financial institutions and ecommerce sites, should always be using HTTPS. However, adopting HTTPS isn’t just for the security of website owners and their users. Google’s HTTPS Everywhere initiative has given those on the fence yet another strong reason to begin using the secure protocol. For about the last year, Google has gradually been tweaking its search algorithms to give sites running HTTPS a more relevant search ranking. A site’s location on Google’s search page can make a huge difference in its success. Those sites a user has to scroll down to see, or click on the second page to find, often will have fewer hits than their ‘top of the first page’s search results’ counterparts. The move by Google is in support of this larger internet trend, which is seeing all online communication migrate toward full HTTPS adoption. An upcoming release of Google’s Chrome browser will actually begin to mark sites still using HTTP as a potential security risk. In the long-term, HTTP and HTTPS will eventually give way to HTTP/2, another extremely secure network protocol. One of the main advantages of HTTP/2 is the significantly faster page load times it offers. HTTP/2 routinely beats both HTTP and HTTPS in speed tests. Because of the way we at Webhost.io perform our server implementations, all sites we host will run HTTP/2 by default if the browser visiting them supports it. If a user’s browser only supports HTTPS, it will default to that protocol instead, thereby ensuring our clients’ sites always remain secure and fast. For now, though, every business on the internet should be making the switch to HTTPS in the near future. Webhost.io ensures all new clients use HTTPS. We’re also working diligently to update the sites of current clients to run HTTPS. Find out more about what Webhost.io can do for you. Speak with us today for solutions to your website and application hosting needs. "Webhost.io is like our ‘Best Supporting Actor’ – their level of responsiveness, performance, and the quality of their hosting services make us look like stars to our clients. We love the way they handle backups and fail-over. In the few instances there has been a data-center hiccup, like a construction line cut, they’ve had the site back up and running before we were even aware of any issue." We give agencies a clean, perfectly functioning digital canvas for their work. You focus on your clients and the creative – leave the tech side to us. 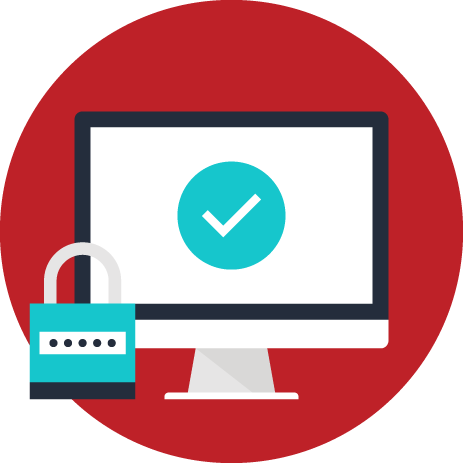 Our customized solution puts you fully in control of your secure web presence. Do you need a web hosting partner? Let's chat. We provide managed web hosting solutions. Our hosting is secure, scalable and custom-tailored to the needs of our clients.